Hi friends! Today I'm sharing with you a fun card using items from the Spring catalog. I had so much fun putting this card together and it was so easy to make using the new Borders Scoring Plate for the Simple Scored. If you haven't seen this new tool yet you'll want to take a look at this video I've included. Isn't that cool? With the Borders Scoring Plate you can take your crafting to a whole new dimension! 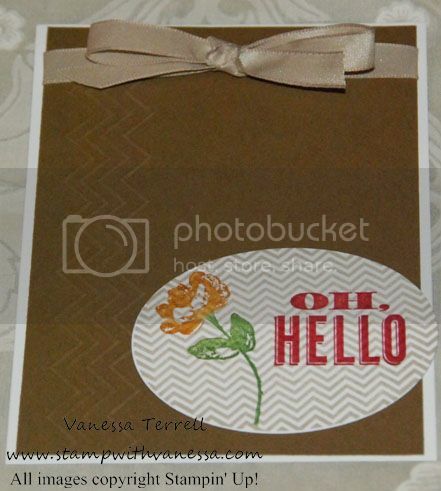 So along with this fun new tool and my other products I made this card. Here's a close up on the Oval focal point. And here's a detail look at the design from the Borders Scoring Plate. Thanks for stopping by and if you would like to see the Borders Scoring Plate in action, I would be happy to schedule a demonstration for you and your friends. Click here to place a Stampin' Up! order. I found you through UBC and I am glad that I did we are in the same field! That border scoring plate looks pretty cool and like a lot of fun. 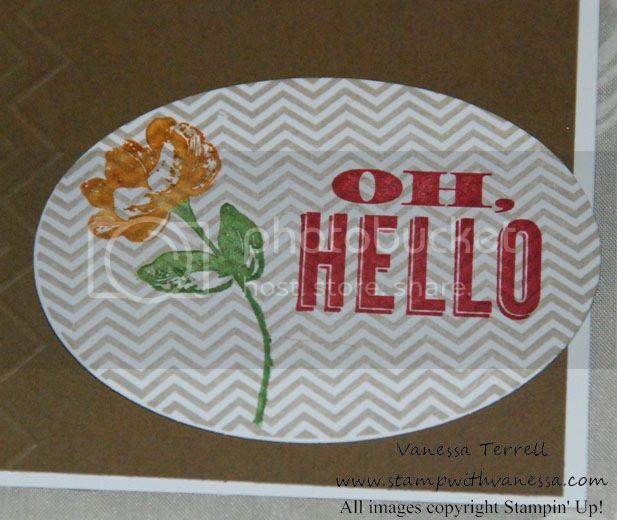 The card that you made is wonderful and I like that OH Hello stamp! Really enjoyed your blog. How very fun! You have great ideas, a really neat lay out. And you make all these great ideas look so easy! Thanks for sharing.